Product prices and availability are accurate as of 2019-04-18 14:20:01 EDT and are subject to change. Any price and availability information displayed on http://www.amazon.com/ at the time of purchase will apply to the purchase of this product. Raise your glass in celebration at your next holiday party! 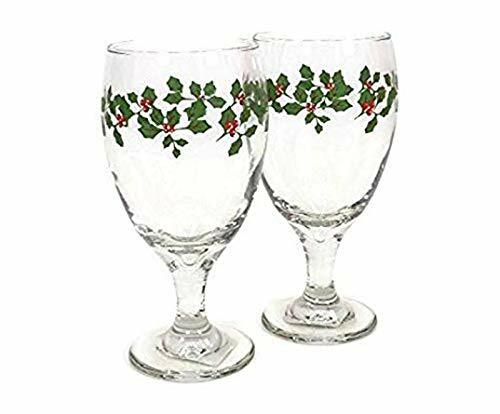 Lovely wine glasses are ready for the holidays. 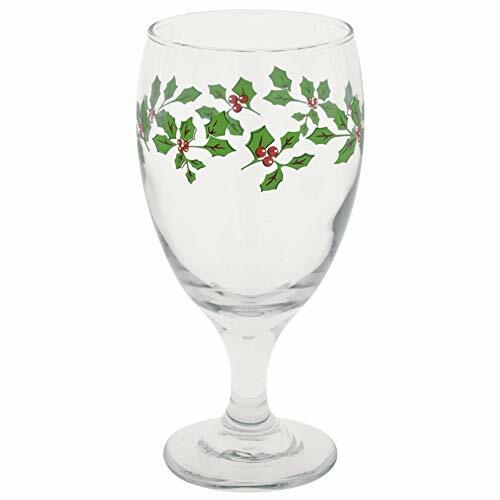 Each clear glass is decorated with holly berries and leaves printed around the bowl. 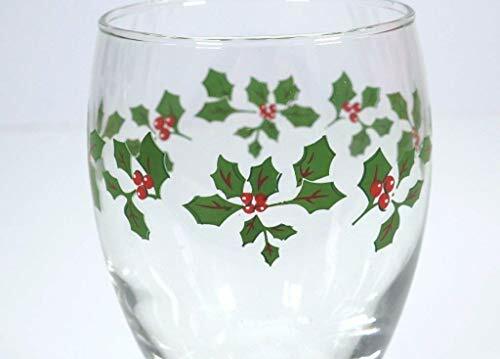 Perfect for reds or whites, they make wonderful gifts and party favors, and are great for resale at party stores, department stores, and novelty shops. In need of an affordable, elegant set of holiday dinnerware? 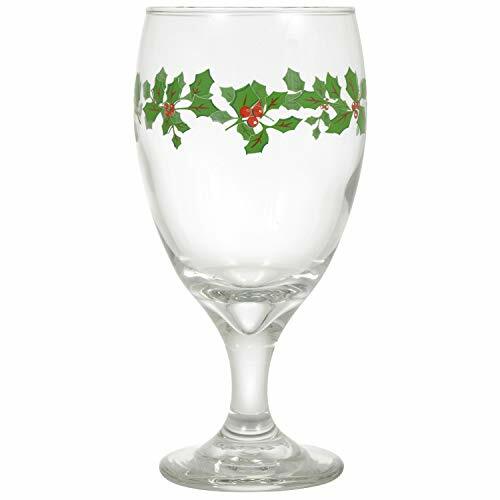 Start with these lovely clear glass goblets adorned with festive holly leaves and berries. Each goblet is sturdy enough for holiday meals at home or as the perfect gift for friends and family! 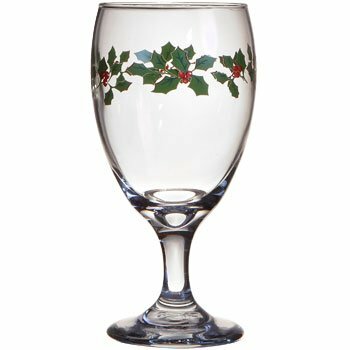 Case of 4 holly berry clear glass goblets.